It's possible to get really, really quite close with my new camera. Every day I am aware of the flow and constant change; perhaps I am at the edge of discovering what more our bodies might be able to teach about the spirit of life. At least, I am always exploring and trying to understand our relationship to the whole universe. Well, up close anyway. A couple of folks last week expressed interest in the macro capabilities of my new camera. 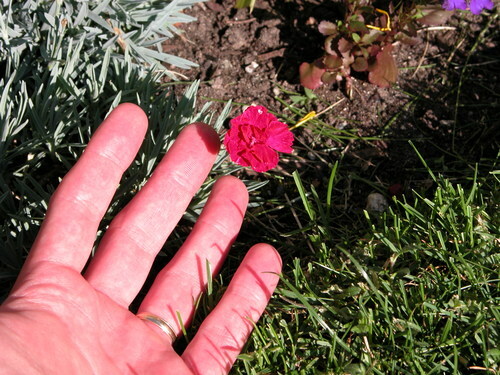 To demonstrate, I took a few snaps of a little flower in Tim and Lauren's back yard. The setting sun was directly behind me so the only way I could photograph the flowers up close was from the side. As a result, the depth of focus is less than ideal. They still look nice, I think. 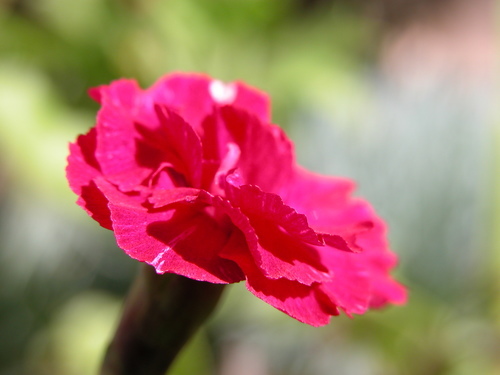 The flower in question, I'm told is Dianthus gratianopolitanus, “Rubin”, also known as cheddar pink. 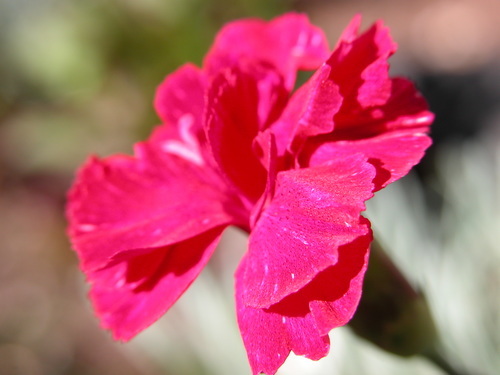 It's one of a great many beautiful flowers, some quite unique, that Lauren has cultivated throughout the yard. The rest of my photos, alas, don't do them justice.